Thousands of people obtain babies through surrogacy arrangements. The general public is compassionate to their plight and supportive of their 'right' to a baby. But who are the nameless women who give birth to these babies? 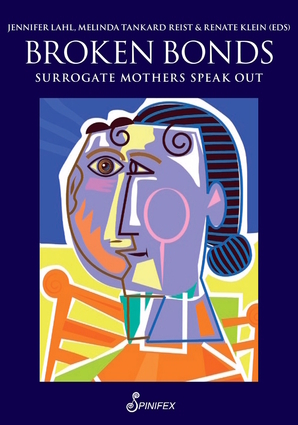 In this book, strong and courageous women from the USA, the UK, Canada, Australia, and Russia share their stories of becoming 'surrogate' mothers only to be deceived by 'baby buyers' and lawyers. This book challenges Big Fertility and its minions: women are not ovens or suitcases, babies are not products. Jennifer Lahl is Founder and President of The Center for Bioethics and Culture Network. She produces documentary films, including, Kelly's Story (2018). Melinda Tankard Reist is co-founder of Collective Shout. She is the author of Getting Real (2009) and Defiant Birth (2006). Renate Klein was Associate Professor on Women's Studies at Deakin University in Melbourne. She is the author of Surrogacy: A Human Rights Violation (2017).